We realize that some people get tattoos because the meaning behind them might be on a much deeper level than say a unicorn on your ankle or a skull on your chest. In fact, your tattoo could have an important meaning which could be cultural or spiritual. 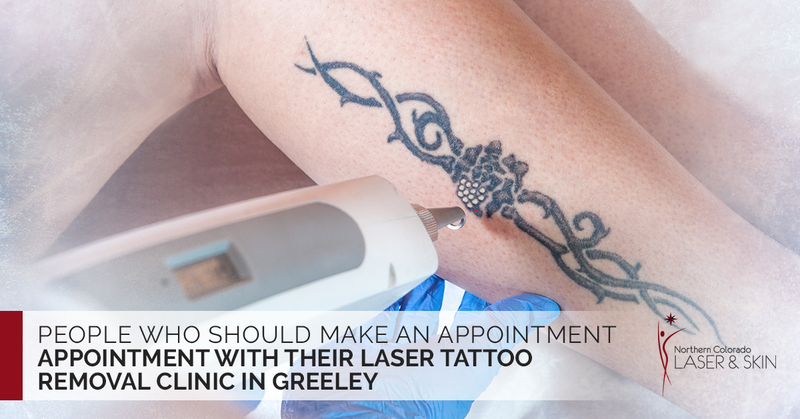 Now, we are fine with some tattoos, but we also see many people who should make an appointment with their laser tattoo removal clinic in Greeley. If you want to avoid tattoo removal in the future, follow these reasons for not getting a tattoo. Technology has brought us phones that take pictures, digital pictures and clouds where we can safely store our pictures, so there is no need to have your dog tattooed on your leg or a portrait of your kids inked on your back. Seriously, your kids are cute and all, but do the right thing and save yourself a few bucks in the process. Besides, when you hit 40 and gain 20 pounds, your kids’ faces will balloon and distort and nobody wants to look at that. Oh, the things you will do all in the name of love. Well, I love Martinis but that doesn’t mean I’m getting a bottle of Stoli tattooed on my back. Statistics show you will fall in love anywhere from four to eight times in your life. This means you need to save some skin space for each of these lovely creatures in which you become enamored. Don’t even go there, just don’t. Sure, quotes are unique tattoos that everybody understands, pardon my sarcasm. Skip the ink and read your favorite quote from a book.